Rob has played rugby for over 25 years, and he enjoys engaging in athletic endeavors. He also has a wide variety of hobbies including carpentry, carving, painting, and drawing. Recently, Rob has been preparing a chicken coop and growing berries and rhubarb on his hobby farm. In his current position, Rob works as a research scientist for the federal government. He is a population ecologist interested in understanding why populations rise and fall the way they do, as well as why we find species in certain places but not others. In particular, Rob’s work focuses on insect outbreaks that are damaging to forests. He wants to know why these outbreaks occur and how these populations can be better managed to mitigate damage. Rob was recruited into college to play football and later played rugby. Athletics were the major focus for him. It was hard to chose what he ultimately wanted to study in school, but being able to write and be outside in nature were important factors in his choice to pursue biology. Getting his career started and becoming an independent scientist were a struggle for Rob. In graduate school, it took him a while to settle in, and it took him seven years to complete his PhD. He thought he was a decent writer, but quickly realized his scientific writing needed a lot of work. Similarly, Rob thought he was good at math, but it became apparent that he didn’t know enough about statistics. In addition, Rob came in with a background in biology, but didn’t have a strong foundation in ecology and entomology. He began to wonder if he had chosen the wrong field. One of the things Rob takes a lot of pride in is seeing the people he has mentored and worked with go on to get excellent jobs. These are the kinds of successes that are most important to him. Recently, two individuals Rob has enjoyed working with were offered fantastic positions, and it was wonderful for him to know that he contributed to the success of these great, hardworking people. For his postdoctoral fellowship, Rob spent two years traveling across Japan, exploring the woods, mountains, and volcanoes. This was a transformative period of his career, and this experience made a big impact on him. More recently, Rob attended a conference in York, UK. He was fascinated by the history, and it was phenomenal to walk around the 600+ year old churches and see some of the centuries old ruins built on top of Roman ruins that were thousands of years old. One of the traditions that developed in the lab during Rob’s PhD was playing computer games together on a shared network. Almost everyday, the lab would spend a short time playing one particular game with their advisor. Rob played video games as a kid and was pretty good, but his advisor was terrible which made it even more hilarious. The strongest determinant of your success as a researcher is going to be the people who work for you and who you choose to collaborate with. Make sure you work with people you like. Also, don’t be afraid to be bold and say things you think are right, even if others may not agree. Rob’s research is mainly focused on understanding the factors that drive the rise and collapse of insect outbreaks. His expertise comes from a variety of fields such as population and behavioral ecology, Citizen Science, and Integrated Pest Management. 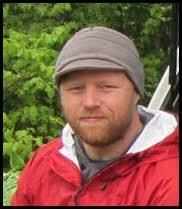 Most recently Rob’s work has focused on developing new strategies to manage spruce budworm. As part of this work, his group has been harnessing Citizen Scientists to develop cost-effective insect monitoring and ecological research, as well as to improve public outreach and education. Outside of work, Rob has a mixed bag of interests ranging from weightlifting and biking, to hobby farming, art, and copious reading (Disclaimer: he makes no claims to excellence in any of these endeavors, though he very much enjoys them!). Most of these activities are pursued on a little 4-acre hobby farm that he shares with his wife, several kids, dogs, and a cat (and soon chickens) in rural New Brunswick, Canada.